You’ve worked hard building a successful business and now it’s time to relax and reap the benefits. 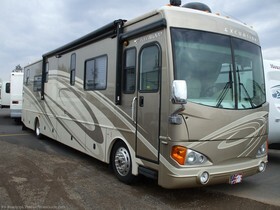 With a luxury motorhome purchase on your horizon, plans are underway for a new lifestyle. This is the time you’ve been planning for, the wandering life of a full time RVer. After months of shopping, you’re ready to place your order for the perfect dream RV — one complete with all the options. Let’s say the price tag for this beauty is $245,000; steep, but quality costs serious money. That’s all well and good; you can afford it. But don’t forget the sales tax! As an example, in Duluth Minnesota with a tax rate of 7.5%, the sales tax on this major purchase will be $18,375. And that doesn’t include registration or insurance. With all the paperwork and additional fees, you could be out closer to $275,000 by the time it’s all said and done. There’s one common trait among good business men that sets them apart from the Average Joe: they don’t pay any more taxes to the government than they are legally required to pay. Many lawyers have built their careers around finding loopholes, and manipulating the tax codes, to reduce the burden placed by taxes on their clients. By establishing a Montana holding company, you can legally avoid paying sales tax on purchases made under the name of that holding company. In plain and simple terms, just what does that mean? In effect, you will be creating a company whose legal paperwork indicates that the company is registered in Montana. Under Montana’s rules, your company doesn’t require a physical base of operation. It isn’t even required that you do business in Montana — or anywhere else for that matter. Your company will only exist on paper. Your company can purchase a motorhome, a car, a truck, or whatever item you so desire. As a company, you don’t pay sales tax on business purchases. It is important to note that YOU don’t own whatever you buy under the company name. Instead, the company owns it. This can affect financing and insurance rates. It might also have ramifications when you decide to sell the property — like when you decide to come in off the road. All angles should be examined by a qualified attorney before you make your decision to go this route. Up front, it appears that you can save a good chunk of cash using this method. One issue is that by creating a company you have created ongoing paperwork. Of course, for an annual charge the same outfit that can set this up for you will gladly maintain an ongoing relationship with you and handle all ongoing requirements to keep you legal. For someone who already has a number of businesses under their belt, this may seem like small potatoes in the way of inconvenience when compared to saving $20,000. For the little guy buying a modest travel trailer, the cost of establishing a forwarding company, combined with the ongoing paperwork, and a year-to-year financial relationship with some company thousands of miles away may seem a bit much. It appears this method of avoiding taxes is most likely an acceptable choice for those looking to buy the high-end motor coaches with extremely high price tags. If I were to return to full time RVing, it would seem more practical to establish residency in a state with no income tax such as Texas. Of course, I’m just the Average Joe with a much smaller budget. Any savings I would achieve would hardly be offset by the effort involved to maintain a company that existed only on paper. I suspect that the majority of people in the market for top-of-the-line luxury coaches are indeed business owners who need their new RV more for business purposes than for pleasure. With their company’s sales tax number in hand, the purchase of anything for any business in any state removes the sales tax liability. It would seem prudent to enlist the services of a trusted attorney before signing on the dotted line. Be sure to consult with a tax professional and learn more about Montana holding companies first. While this method of registering your RV may be worthwhile for some, for the majority of RVers, there appears to be little point in going to extreme lengths to avoid paying sales tax. If you’re working for a living, you’re better off establishing residency in a state without income tax.